Kolby joined Renaissance Financial because of the team environment that provides him with the right amount of support but still allows him the freedom needed to work one on one with his individual clients. With this support, he is able to provide his clients with the highest level of customer service possible. 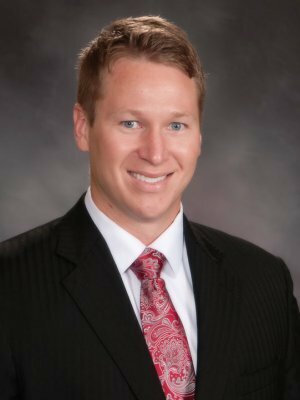 Kolby’s clients include farmers and cattle feedlot owners, business owners and young professionals. As a former football player for the University of Oklahoma (where they won 3 Big XII Championships and played in 3 BCS games, including the National Championship), Kolby also enjoys working with athletes and helping them navigate the unique issues they face. Beyond the football field, Kolby made sure he had a solid education to support his future by earning a Bachelor of Arts degree from the University of Oklahoma in sociology and business administration. He has since attained his Life Accident and Health Insurance Agent License, as well as FINRA Series 7 and 66 registrations. He specializes in asset management, estate planning and business succession planning. He is driven by his passion for the financial industry and helping his clients build financial strategies that make sense for them. This passion allowed Kolby to continue his commitment to excellence and being an advocate for his clients by encouraging him to earn his CERTIFIED FINANCIAL PLANNER™ (CFP®) certification in 2018. Kolby is still active with the University of Oklahoma by being a part of the Varsity O Association for athletic alumni. He is also an active member of the Tangier Shrine, where he volunteers at the Shrine Hospital, and has spent time working with the Children’s Hospital while in Oklahoma. Kolby lives in Omaha, and outside of work he enjoys spending time with family and cheering on the Sooners.